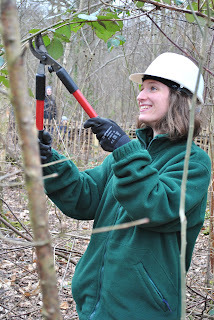 Staff, trainees and volunteers at the Wildwood Trust have been learning how to manage their ancient woodland the old fashioned way, by coppicing using simple hand tools just like our ancestors did thousands of years ago. As the oldest known form of forestry, coppicing is a sustainable method of woodland management that involves cutting trees down and allowing the remaining stumps to regenerate before harvesting. This system replicates the effect that large grazing animals and beavers would have had on our woodlands thousands of years ago by creating natural clearings that let light and rain through to the forest floor, meaning seeds which have lain dormant in the soil can germinate and flourish before the coppice grows and shades out the light. 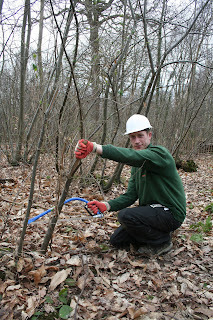 Today the majority of coppicing in the UK is carried out using chainsaws and power tools, and although this method is considerably faster than coppicing by hand, modern equipment requires specialist training, uses precious resources and is often noisy and intrusive, something Wildwood is keen to avoid in order to reduce our carbon footprint and to not cause alarm to our animals. 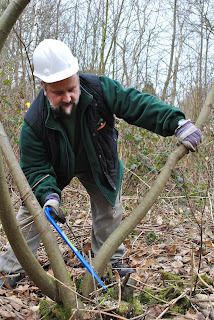 To solve the problem Wildwood called on the expert help of Kathryn Barton and Daniel Fagan from Kent Wildlife Trust, who provided on-site training at Wildwood on woodland coppicing using only traditional hand tools. The project, funded by the Forestry Commission, will allow Wildwood to go back to basics and manage our woodland in the most sustainable way possible. Fundraising manager, Beth Flowers said "Wildwood is set in an ancient woodland, which is a Site of Special Scientific Interest, so as a conservation charity we have a responsibility to manage the area as naturally and sympathetically as possible. 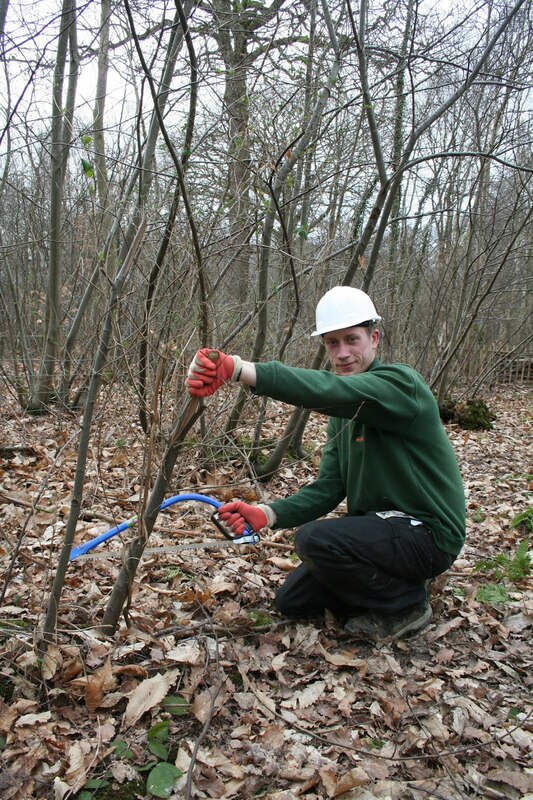 These new skills are vital as now we can manage the woodland in the traditional way." Not only does natural coppicing benefit the woodland themselves, the wood harvested by coppicing will also be put to good use around the park. The felled branches will be used to make safety fencing and create dead-hedging and log piles for small mammals and invertebrates living both wild in the woodland and in the enclosures. These provide extra interest for many of our animals as they search the rotting wood for grubs and larvae. Wildwood is situated amongst 40 acres of ancient woodland, and is part of the Blean, the largest tract of ancient woodland in southern England. Wildwood's woodlands have always been managed on a coppice rotation which involves harvesting the trees every 5-20 years by cutting them down to ground level and allowing them to grow back from the remaining stump (stool). The resulting timber can then be put to good use. 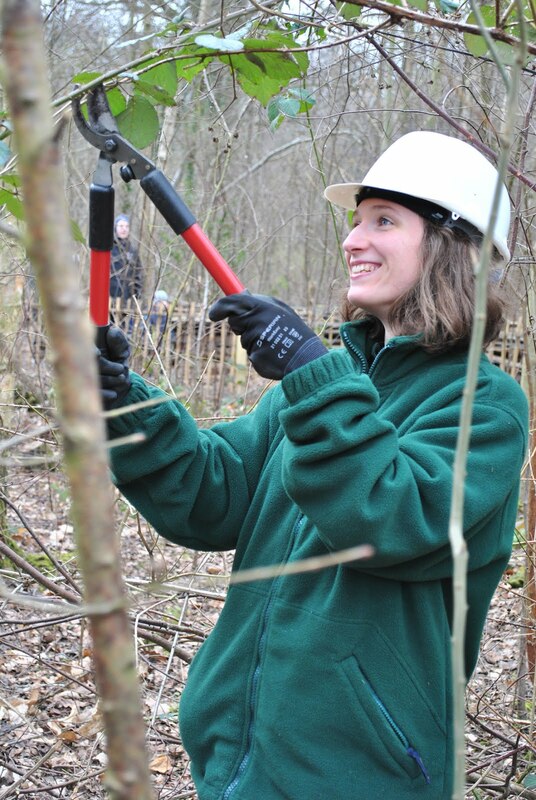 We continue to manage our woodland by coppicing and we use the timber for around the park for signs, fences and log piles for small mammals and invertebrates living both wild in the woodland and in the enclosures. These provide extra interest for many of our animals as they search the rotting wood for grubs and larvae. Managing woodlands by coppicing is beneficial to plants and wildlife which move in at their preferred stage of its growth, moving out again as the coppice grows and shades out the light. Wild flower seeds which have lain dormant in the soil, germinate in the new light and rainfall after the coppice is cut and bloom for several years until the tree shoots grow again and shade out the light. The majority of Wildwood's woodland today is sweet chestnut and silver birch harvested on a 20-year coppicing rotation, with English oaks on a 150-200 year cycle to produce ship-building timbers.